Oh hi hello! I know I haven’t been around on Saturdays for a while. But it’s totally necessary when one of the biggest eating holidays of the year is tomorrow! The Super Bowl has always been a high-point of my winters. Not only was I a total tom-boy who loved all-things sports as a kid, my family has always gotten into the football spirit, too. They always make a ton of food, they always invite other friends and family over, and they always watch every minute of the game. So, while I’m not exactly sure whether or not we’ll be watching the big game tomorrow, I know there will be a plethora of dipping goodness for consumption. I am such a dip freak. Dips are simple, crowd-pleasing, and oh-so comforting. 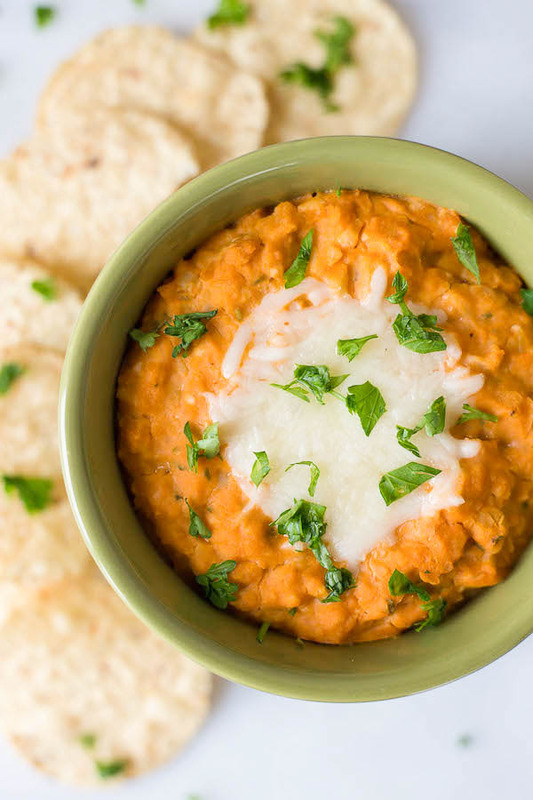 And if you’re like me who’s planning to go to the grocery store tonight in preparation for the game, well…dips are pretty much the perfect last-minute go-to. An easy, let’s throw everything into a bowl and call it a day kinda dish – sign.me.up! 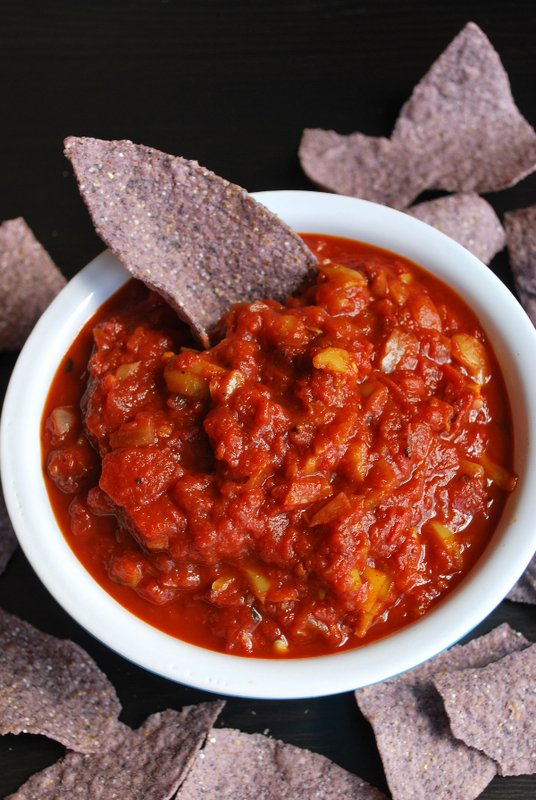 And while dips are surely delicious, they’re often loooooaded with extra calories, fat, and all-things indulgent. 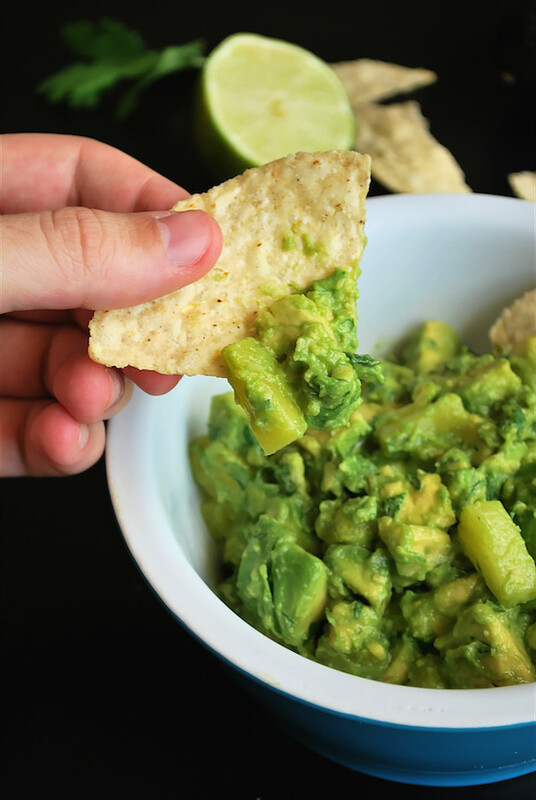 So I rounded up some of my favorite healthier dip options that are just as delicious as their calorie-laden alternatives! Not only that, but they’re all vegetarian and gluten free! So basically they’ll all be making an appearance at our Super Bowl viewing party tomorrow. ? Let’s get our dip on, friends!